So you've been saving up those honor points for gear and you probably have a few pieces of season 1 or 2 gear. 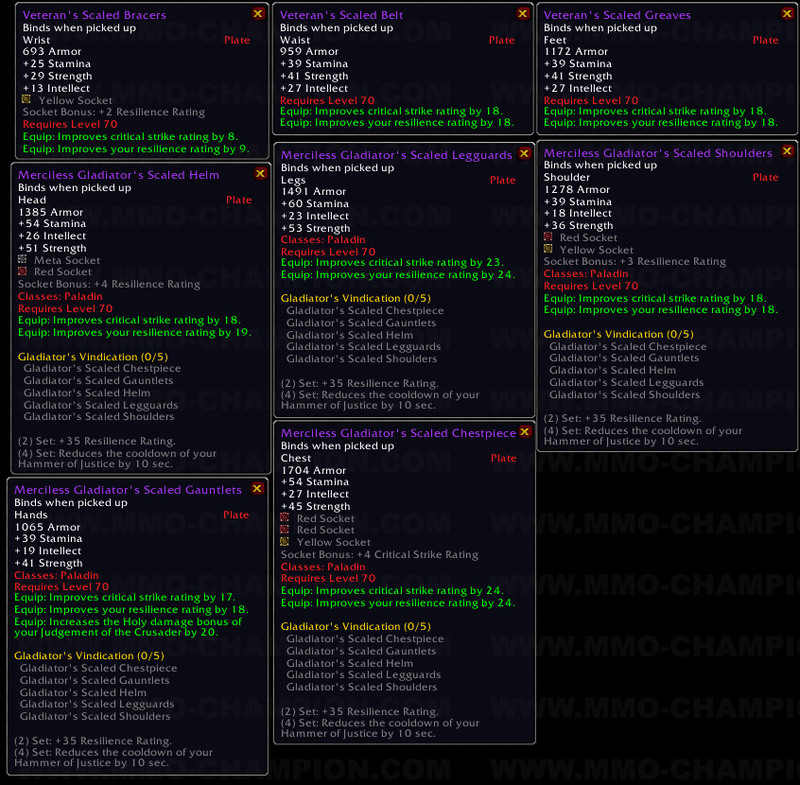 Well patch 2.4 is on the testing server now, when it goes live Blizzard plans on making some tweaks to the gear. 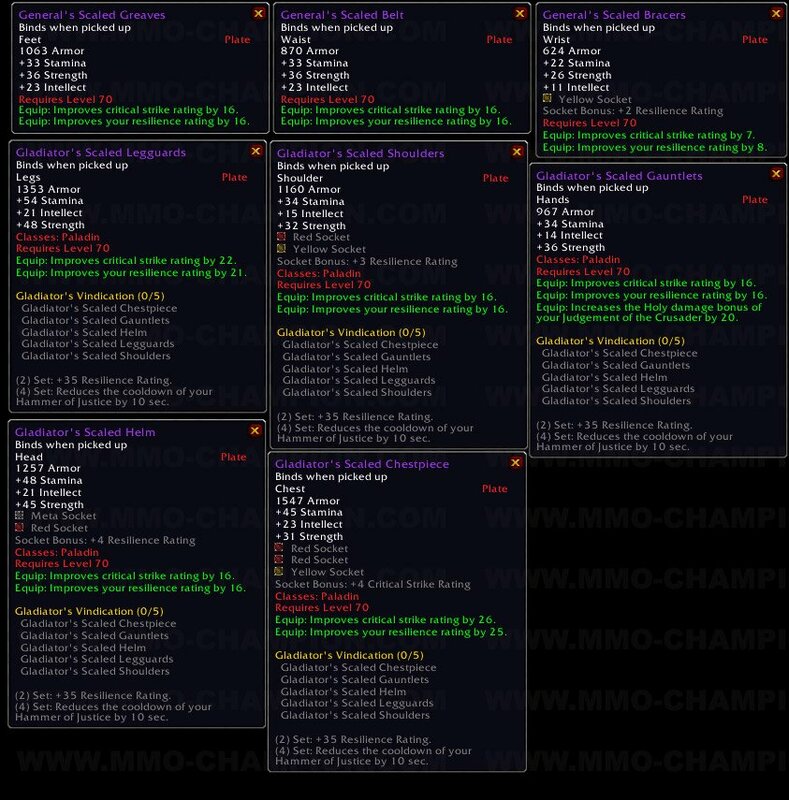 Untill the patch goes live, there are things that can change, but at this point it looks like it's going to be another good patch for Ret Pally's! Finally, resilliance has been changed to also reduce the effect of mana drain = great news for us, since we're very suceptable to mana drain. With around 200 resiliance you should see around a 10% reduction in mana drain. While I'm not thrilled with the loss of Critical Strike stats, I think it is more then made up for in Attack power and Resilliance. And of course, when you move up to season 3 those stats are the same. The golden age of RETRIBUTION is upon us! The gear changes are great for Arenas but PVE stats suffer and I use arenas to gear up for PVE. I cant wait for 2.4! At the moment I'm running around in warrior gear when I'm PvE'ing and my mana is just too low. I've got Tier 5 Legs and Gloves that I just dont use - when they update them in 2.4 they'll be used a lot more! 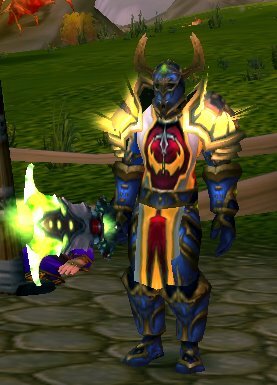 And my pvp season 1 shoulders will get a nice buff too!